Well, they came. They sang. They danced. And they conqured. But who was the star of the show? Of course, it was Chitty Chitty Bang Bang, our fine four fendered friend, who goes from charming rusted heap to sleek shining-like-a-pin machine. 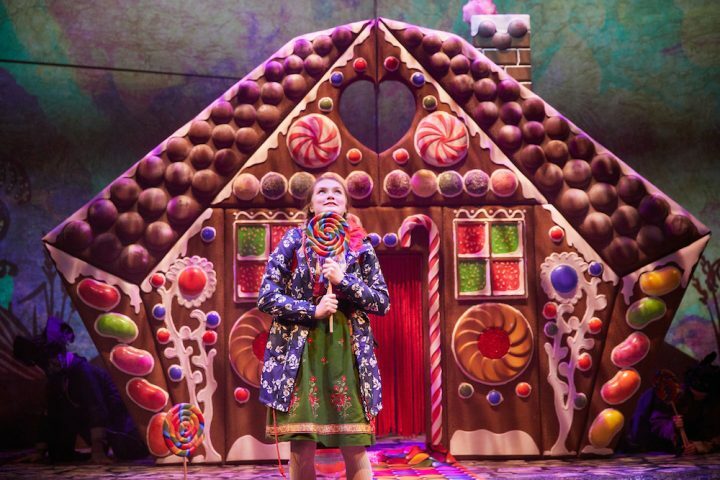 The show rattled into the New Victoria Theatre, Woking, this week for a two-week run. 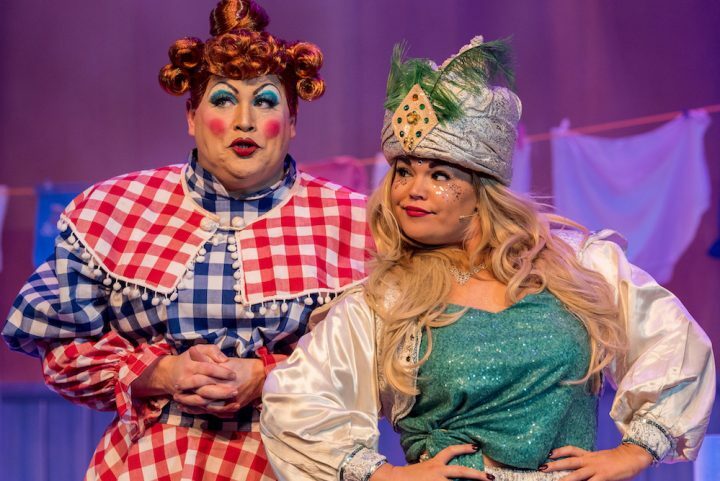 And with Jason Manford, Claire Sweeney, Phill Jupitus, and a couple of ridiculously talented kids also in the line-up, and a brilliant storyline to boot – it’s definitely one to see if you can. 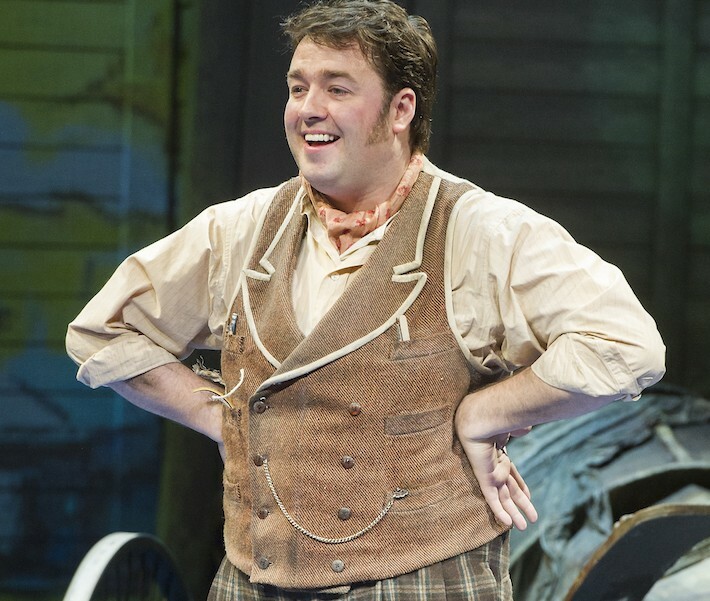 Having recently toured the UK as Leo Bloom in The Producers, and having appeared in the musical Sweeney Todd, Jason Manford is no stranger to the boards, but I’ve never seen him in that guise so it was all new to me. 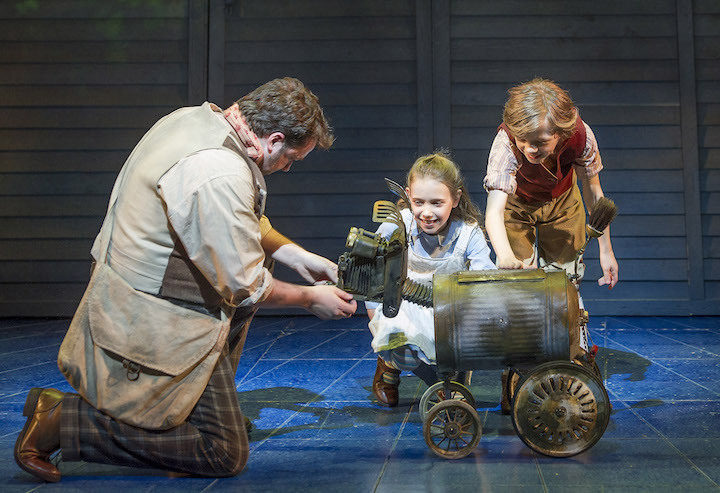 He played the role of Caractacus Pots – the eccentric inventor – like it was made for him, exuding charm and warmth. 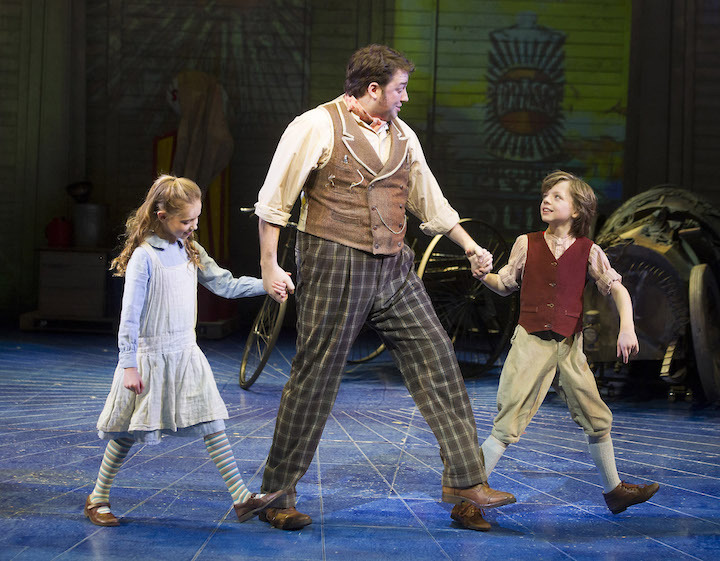 He had a great rapport with the two children playing Jeremy and Jemima and what a cracking set of pipes (who knew?). Jason Manpipes is what I’m calling him now. 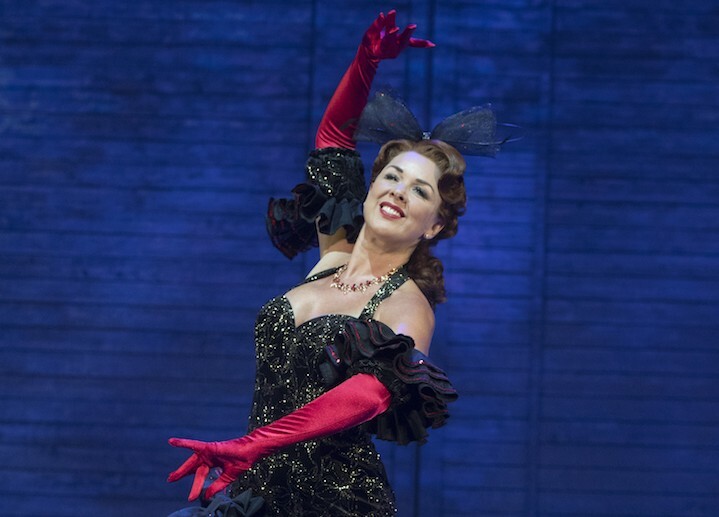 I saw Claire Sweeney in Hairspray, so that she has a big measure of the theatrcial dame about her didn’t come as a huge surprise. Last night she doubled up playing both Miss Phillips and Baroness Bomburst. She was wonderful as both, but as the nasty child-hating Baroness she excelled. Her samba at the Baron’s birthday party was utterly brilliant, and a highlight of the show. 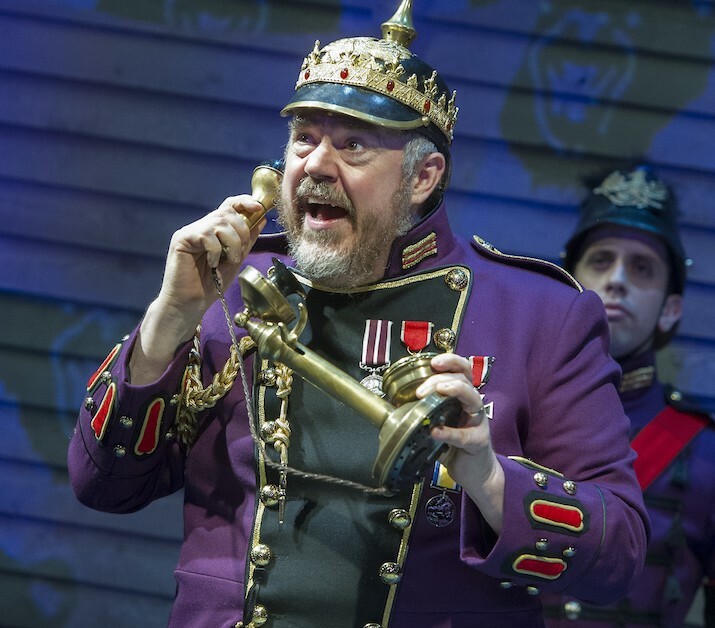 Paired with Phill Jupitus, as the brow-beaten and childlike Baron, they were a great double act bringing flamboyance and absurdity with brilliant comic timing. Charlotte Wakefield is gorgeous and spirited as Truly Scrumptious, Henry Kent and Lucy Sherman were impressive as one of the three teams playing the Potts children, but my favourite pairing is Sam Harrison and Scott Paige as Vulgarian spies Boris and Goran, with their Vaudeville inspired routines. 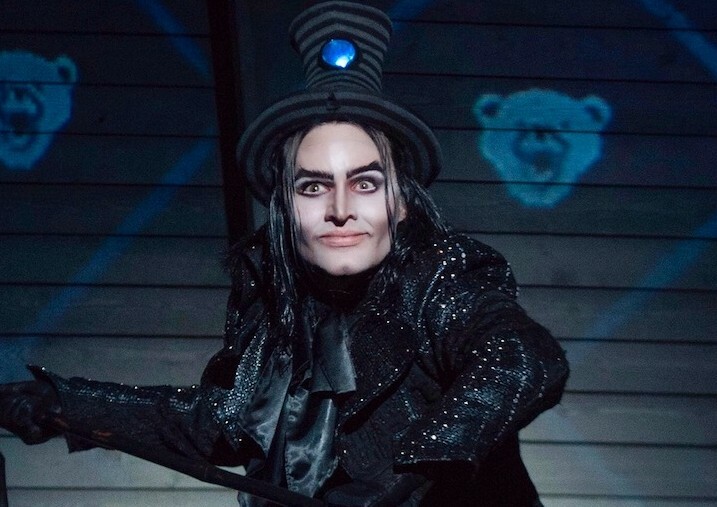 Special shout out also goes to Jos Vantyler as The Childcatcher who brings the right amount of cackle, sneer and scariness to the role. Clever lighting made him even scarier – and had us cowering in our seat. The set was impressively done – inventive projections taking us along country roads, inside a sweet factory, to the seaside, out to sea, and to the court of Baron Bomburst in Vulgaria and through sewers. There’s a scence where Chitty and the Potts’ are being chased by a big ocean liner and it really does have you squirming in your seat as the ship gets closer. It’s very clever. 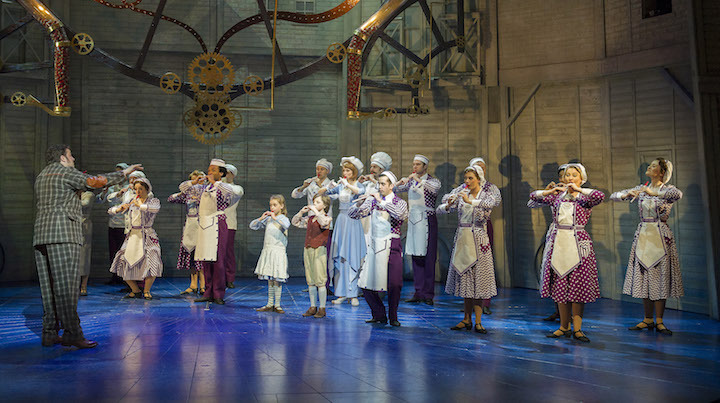 Chitty Chitty Bang Bang will have audiences of all ages flying high with its mixgture of madness, intrigue and exuberance. The adult jokes and campness, combine well with the classic story about the wacky inventor and his kids outwitting the bombastic Baron Bomburst. 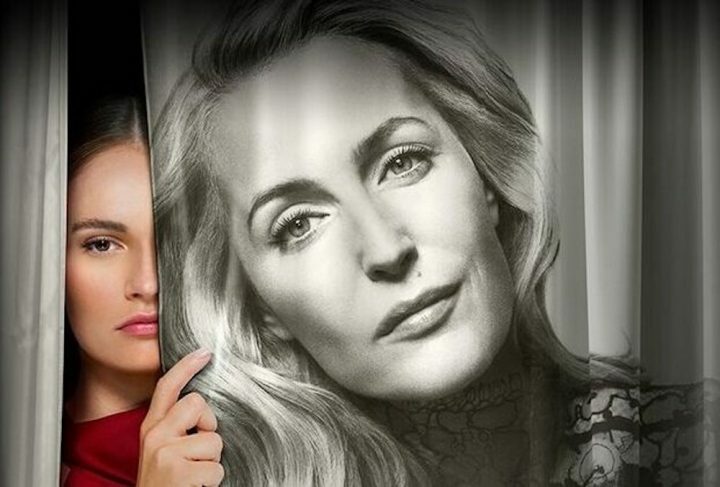 The show is pretty faithful to the film, with all your fave songs still there. And of course, there’s a happy ending for the Potts children. Wins all round, I’d say – so if you haven’t already got tickets, book them now.